I don’t have much of a sweet tooth but, when I reach for chocolate, I want it to be Swiss. Yum! But Switzerland is not only home to great chocolate, reliable watches, defenders of the Vatican and, arguably, the world’s best tennis player; it’s also home to highly beneficial tax rates for IP owners. The applicable tax rate for Swiss-registered IP owners or Swiss subsidiaries of foreign IP owners varies, but may often be reduced below 8% based on corporate structuring. Ask your tax professional for advice on your entity's structure! In addition, because Switzerland has double taxation treaties with numerous countries, a company can benefit from a reduced withholding tax on foreign-generated royalties – in many cases to 0%. The Swiss Federal Institute of Intellectual Property houses registrations of patents, trade marks, copyrights and designs – a true one-stop-shop! It is headquartered in Bern. Brush up on your German before arrival, bitte, because German is the official language in this fourth most-populous city in Switzerland. 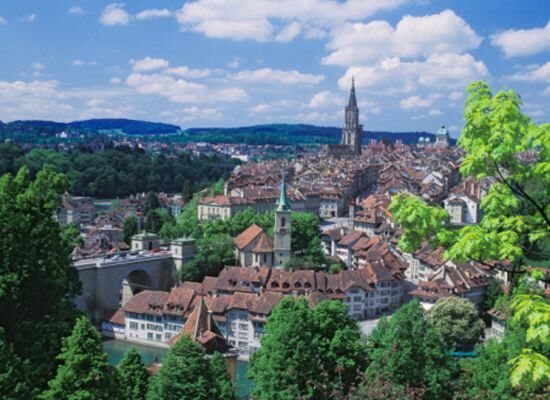 Though less populous than Zurich or Geneva, Bern is also Switzerland’s capital and home to its Parliament. Bern can also boast being the home of Albert Einstein at a time when he began working on his most famous scientific breakthroughs. One of his former Bern residences has since become a museum. On arrival, make a beeline for the Kursaal Bern. Just as you can satisfy all your IP needs within the Swiss Federal Institute of Intellectal Property, you can satisfy all of your accommodation, nourishment and entertainment needs at the Kursaal Bern. It houses the Hotel Allegro, a gambling casino, conference center, several restaurants, a rooftop beer garden, and a cigar lounge operated in cooperation with Davidoff, as well as a Toblerone chocolate historical exhibit in the Kursaal Tower section of the property. Of course, Toblerone is available for purchase in the open-round-the-clock hotel gift shop! Bears are a symbol of the city. Live bears had been kept here in bear pits for public amusement since the city’s founding in 1191, but today can be visited in BärenPark Bern, which opened in 2009. 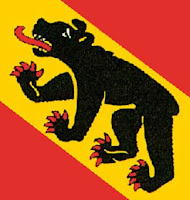 In fact, legend has it that Bern got its name from the hunting of bears here at the time of the city’s founding (from the German word for bears, bären). Finally, UNESCO recognizes Bern’s medieval city center as a World Heritage Site, so be sure to save time to explore the Old City and to see the Zytglogge, the “Time Bell” medieval clock tower. You can also walk along the shopping arcades that stretch for six kilometers through the city – among the longest covered shopping areas in Europe.